The waters around Jervis Bay are perfect for kayaking. Home to rivers, estuaries, lakes and beaches, the Shoalhaven is famous for its clean, clear waters and abundance of wildlife. In fact, the Shoalhaven features over 100 km of coastline and 109 beaches, so you won’t find it difficult to find your own patch of paradise. Here are just a few of our favourite kayaking spots. Plantation Point – Just around the corner in Vincentia is the beautiful protected cove of Plantation Point. You can stay in the protected waters or venture out past the point in the Bay. Access via Plantation Point Parade, Vincentia. Huskisson – Starting at Woollamia Boat Ramp, Currambene Creek is a 9km paddle through saltmarshes, mangroves and waterside villages until you reach Jervis Bay, Huskisson. St Georges Basin – A large waterway with a huge array of birdlife (pelicans, sea eagles, herons, parrots, black swans and many others), St Georges Basin is also an amazing fishing spot and you can even spot turtles in the summer. Start at Basin View Boat Ramp which has plenty of parking, toilets, picnic tables and a fish cleaning station. Jervis Bay West – This protected corner of Jervis Bay has crystal clear water and incredible views. Access is via Church Street off Elizabeth Drive, Vincentia. Check out more kayaking spots in Jervis Bay. Ready to go kayaking? Need to hire a kayak? Give us a call here at Jervis Bay Kayak Hire. Single kayak hire starts from just $39.00 for two hours or why not take a guided kayak tour around Jervis Bay? 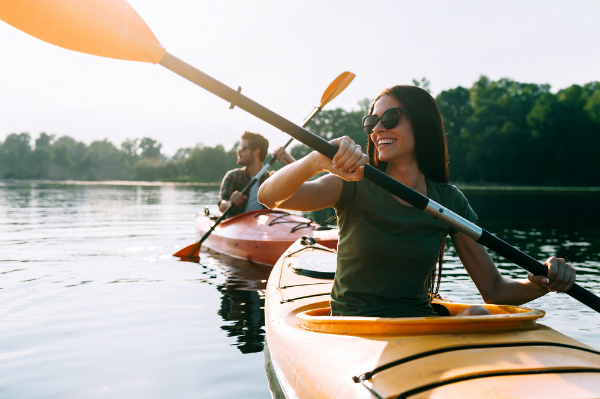 Make sure you book your kayak hire in advance, especially over the busy summer season.